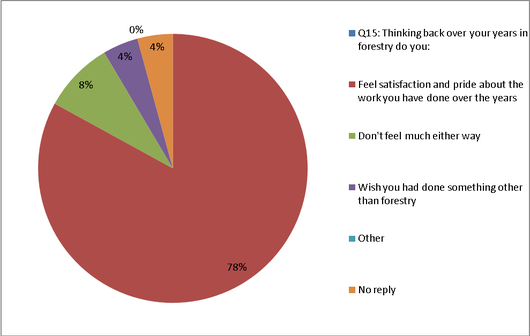 Last year, as part of the Crown Forestry West Coast Forests Forest Stewardship Council (FSC) audit, PF Olsen was asked if any forms of social survey had been undertaken. Stemming from this, it was decided to design a survey that might be tested in the West Coast then if successful, expanded to the remaining PF Olsen contractor base. A key concept behind the survey was to ask questions that gauged underlying attitudes and morale within the workforce in ways that could be repeated in future surveys to reveal trends. With a very full participation rate from West Coast contractors some interesting statistics have been obtained which will be shared with participants. This initiative not only ensures that the forest owner is complying with it's FSC obligations, but also provides an opportunity to increase the quality of engagement of people working in the forest and design and implement improved safety management initiatives.